Snakes are highly specialized legless animals, which have evolved around 150 Million years ago. Although without extremities their body is exposed to constant friction forces. The PhD-Student Marie-Christin Klein and Professor Stanislav Gorb of Kiel University found out how snake skin is adapted to legless locomotion. The skin is stiff and hard on the outside and becomes soft and flexible towards the inside, independent of habitat. Klein and Gorb are publishing their current results in today’s issue, 15th August, of the „Journal of the Royal Society Interface”. Snakes inhabit all large ecosystems apart from the Polar Regions. They are able to climb trees and burrow themselves underneath ground. Thereby the skin has to persist until molding takes place, which is every two to three months. “The skin of snakes therefore has to be optimized against abrasion wear”, assumed Marie-Christin Klein at the beginning of her research. With Stanislav Gorb she examined the skin of four snake species: sand boa (Gongylophis colubrinus), the king snake (Lampropeltis getula californiae), the rainbow boa (Epicrates cenchria cenchria) and the green tree python (Morelia viridis), which inhabit different environments, from the desert to tropical trees. “With the help of these four species we found out that the skin architecture differs depending on habitat. However, all show a gradient in material properties. This means that the skin of all species has a stiff and hard outside and becomes more flexible and soft towards the inside, even though the skin differs in thickness and structure depending on species”, explains Klein her findings, which confirm her assumption that the skin of snakes is optimized against abrasion wear. The four snake species achieve this mechanical effect by developing for instance different cell types. One species has a relatively thick skin with round cells, while the other has a relatively thin skin with elongated cells. “This speaks for a functional adaptation to legless locomotion, which has developed for snakes in both moist and dry habitats”, says Klein. “This research area is extremely new“, Klein reports. “The general composition of snake skin is known, however, but no one has by now examined the impact of this on the mechanical material properties. A material that has a transition from a stiff outside to a flexible inside can distribute an impacting force over a larger area, therefore decreasing the force on one single point. Materials like this are like a flexible amour.” Possible application areas can be found in the medical engineering sector, in which friction could for instance be optimized for artificial implants. Furthermore, the propulsion and conveyer technique market could profit from the abrasion minimization findings, since lubrication would have to be implicated less often. 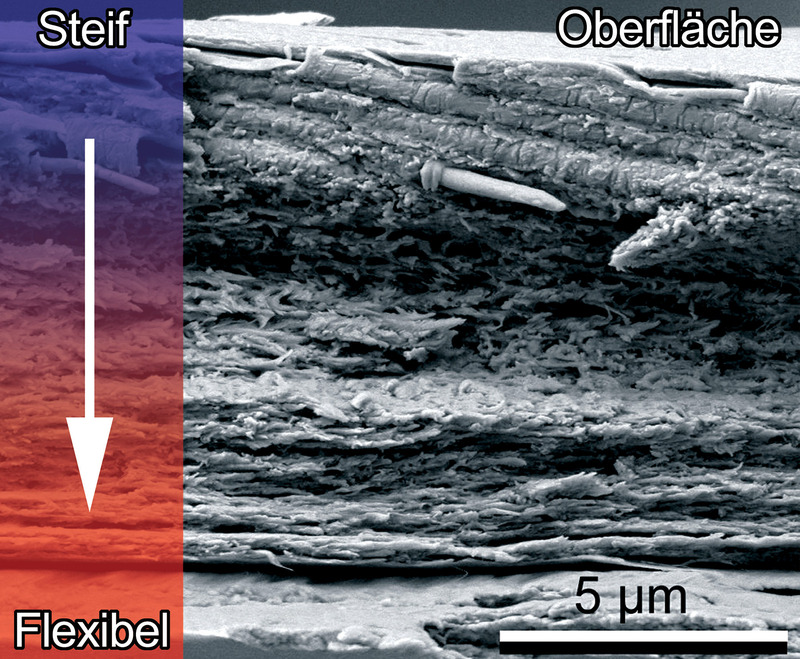 The friction system of snake skin is an important model in the bionics research at Kiel University (Group: Zoological Institute, Professor Stanislav N. Gorb) for the development of new and the optimization of already existing materials, which are being used in correlation with friction and abrasion wear. J. R. Soc. Interface rsif20120479; published ahead of print August 15, 2012, 1742-5662. Caption: Research subject snake skin. 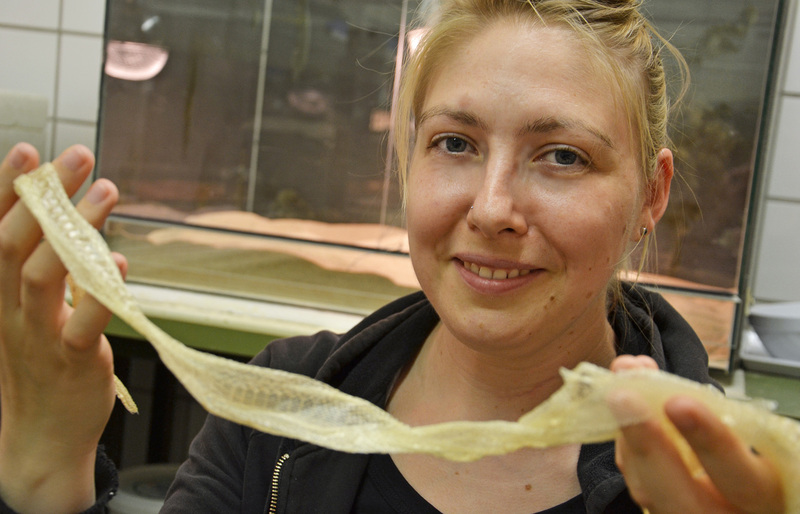 PhD-student Marie-Christin Klein finds out how snake skin is adapted to legless locomotion. 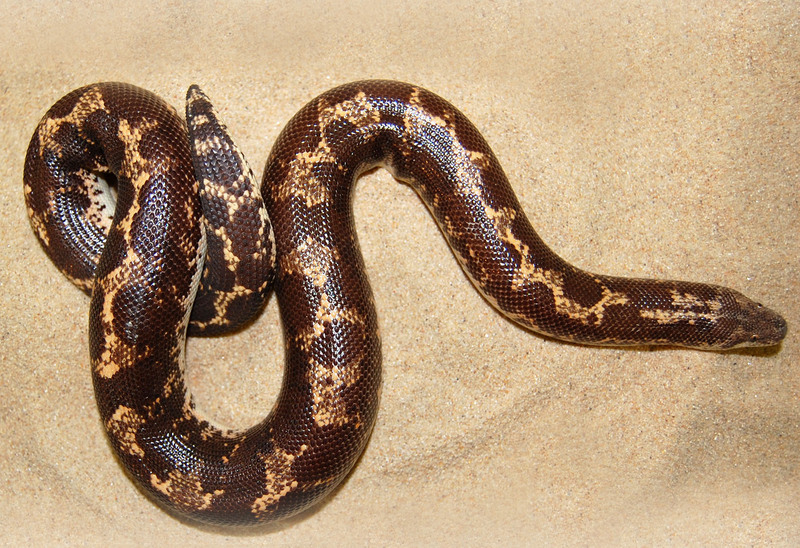 Caption: Sand boa, Gongylophis colubrinus. 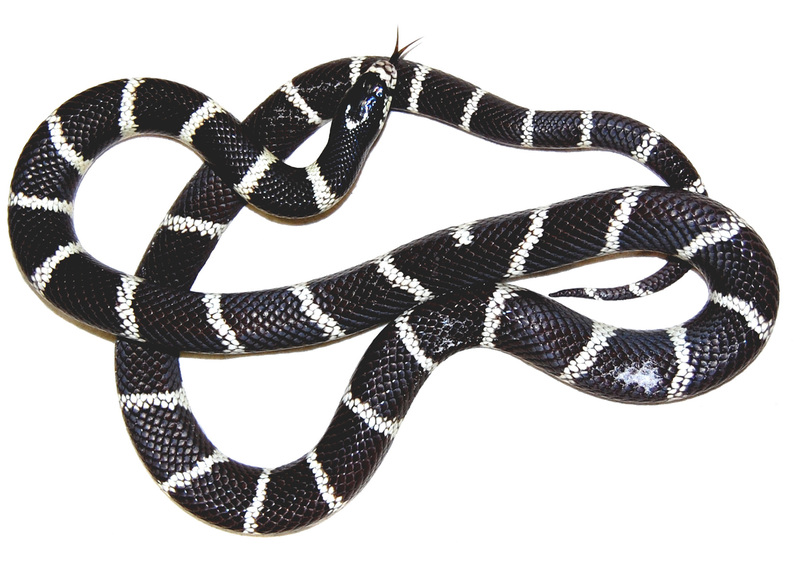 Caption: King snake, Lampropeltis getula californiae. 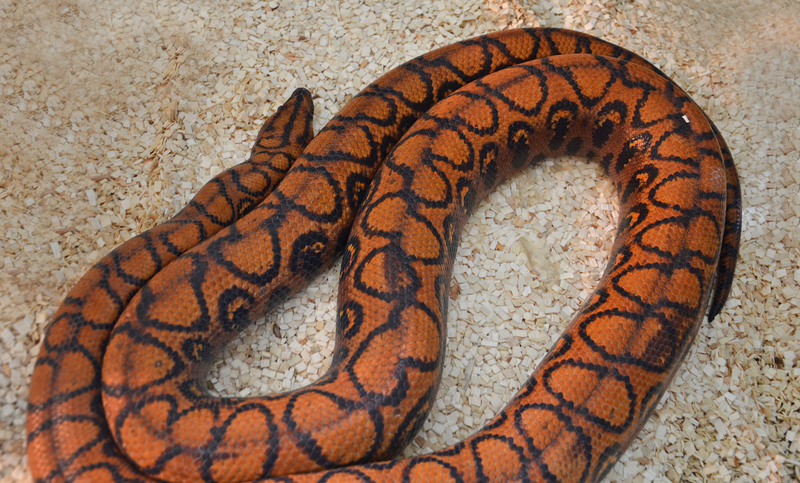 Caption: Rainbow boa, Epicrates cenchria cenchria. 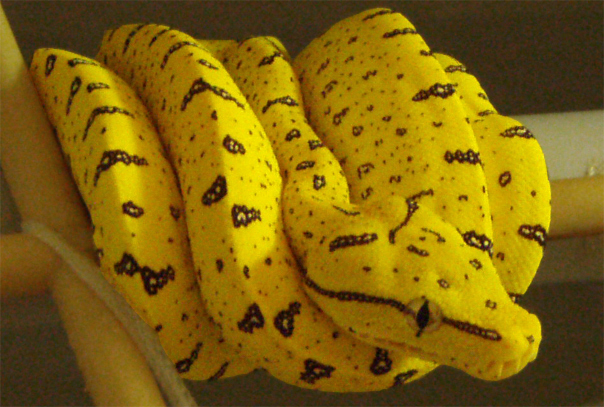 Caption: Green tree python, Morelia viridis. Caption: A scanning electron microscope cross section picture of the king snake’s scale. 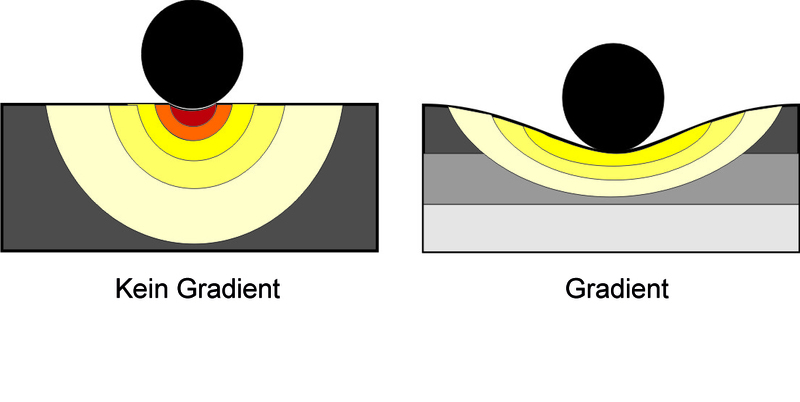 Caption: The graphics show the distribution of force on a material with and without gradient, assuming the same pressure.